🌟 Self-published authors never cease to amaze me and Brittni is no exception to this rule. I mean given that they do all the work, you would think the quality will be affected but I can assure you it is not. Brittni offered me a physical copy of the book in exchange of an honest review but all opinions are mine! 🌟 Fantasy Standalones are something that we need more of. For someone who mostly reads fantasy, I know it can be tiring starting new series after new series consequently. So these standalones are like the perfect solution. 🌟 The writing is actually pretty good in this book and I knew that the author has potential after a few pages only. 🌟 I love a fast paced story when it is well done and the pacing here is exactly that. I mean a whole story in 274 pages that is fast paced and gripping from start to end is something that you don’t find every day! 🌟 I kind of have a problem with the characters; I wish they were a little bit older which would have made more sense and would have been more exciting with the NA revolution currently in the making. I also appreciate a story with multiple POVs. I find these tricky to read and write because you need to get the right tones for different characters. I think it would have been better if it was kept as 2 POVs instead of the other minor POVs we had which sounded similar to Princess Charlotte and Prince Young’s voices! 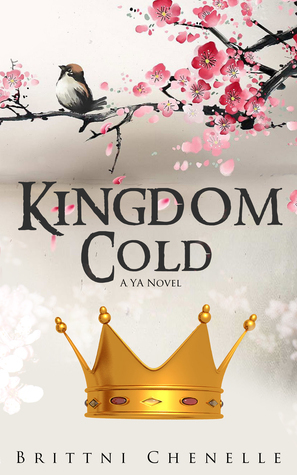 🌟 The synopsis may sound like a YA novel that uses the usual tropes but I was glad that it had new twists and it had that Shakespearean atmosphere to it that delivered something new! 🌟 Summary and Prescription: I respect Brittni for the effort she made. The story was short, fast paced and enjoyable. It can be read in one sitting for a change. I just wish we had 2 POVs and older characters! If you are a fan of the genre and looking for self published authors to support, then this book may be what you are looking for! Previous Bookish Discussions: How do you read so much? !